Get a bigger dose of antioxidants with your campfire treat! S’mores are a summer campfire staple. But if you’re gluten-free, or trying to eat healthier, the traditional version may not fit your feel-good goals. Not to worry—I've got you covered with this healthied-up s'more recipe. It calls for 70% dark chocolate, all-natural marshmallows, and cinnamon dusted banana slices (in place of graham crackers). 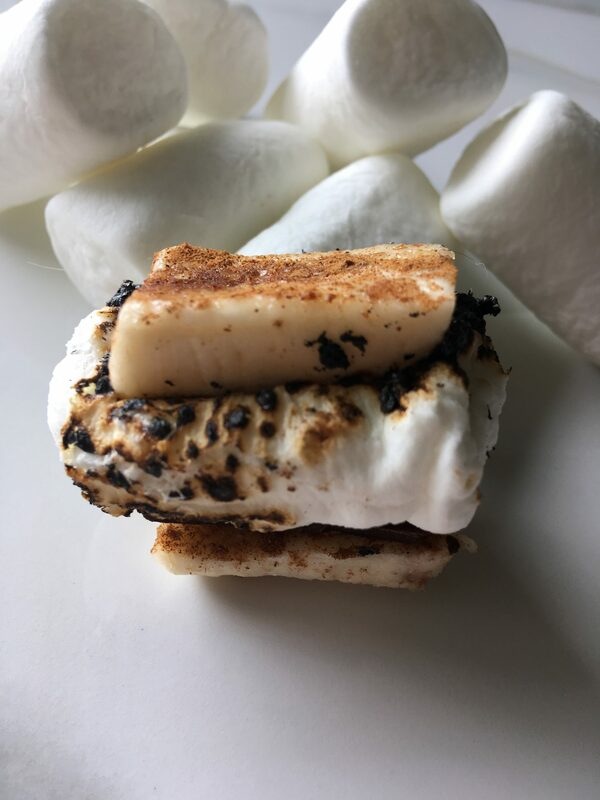 The resulting s'mores are super simple and just as much of a treat, but you're also getting a bit of fruit, and significantly boosting your total antioxidant intake. I like to think of them as A+ s’mores! Slice banana in half widthwise. Cut off tips, slice each half lengthwise, then cut each piece in half again to create 8 pieces. Sprinkle banana slices with cinnamon. Place marshmallows on sticks and warm over an open flame to desired consistency. Top a banana slice with a half square of chocolate, and add the marshmallow. Top with another banana slice. Press together and hold for a few seconds, then set on a plate, or bite right in.